By Jim Boyce | The annual charity campaign Maovember gets part of its name, “mao”, from the currency of that name, worth about 1.5 cents. The idea is many small donations lead to big results. This year’s charity partners are Library Project and Good Works. One of my favorite events last year was Mystery Wine Party. 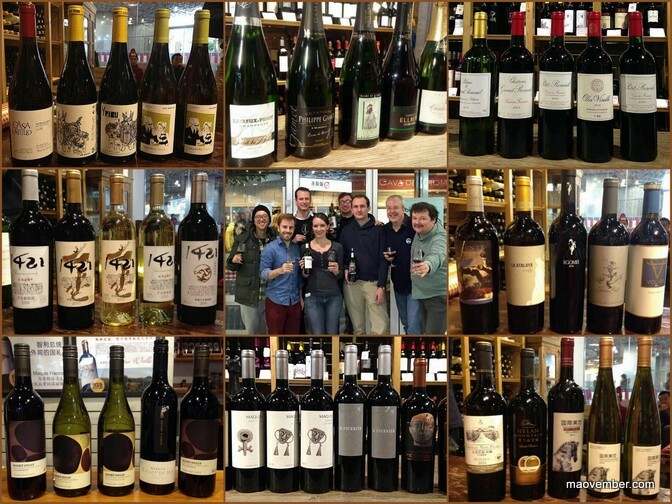 The idea is simple: a bunch of niche suppliers gave five or more bottles with a retail price of rmb120-plus per wine, with some close to rmb500 or even rmb1000. 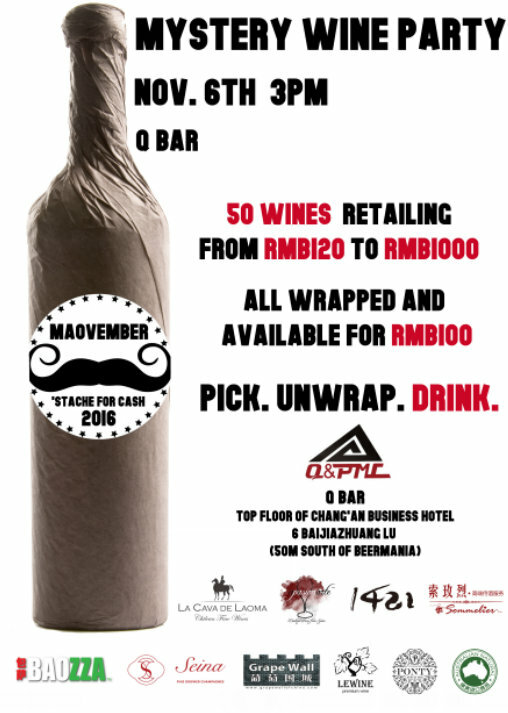 The bottles were wrapped in Christmas paper and sold at rmb100. 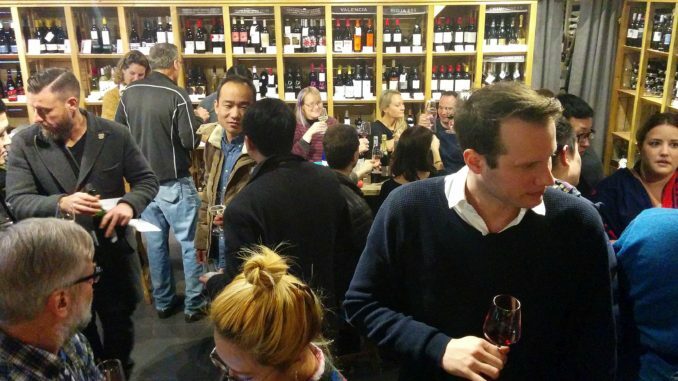 People ended up trying wines they never would have bought and sharing and discussing them. It was excellent (see photos below). 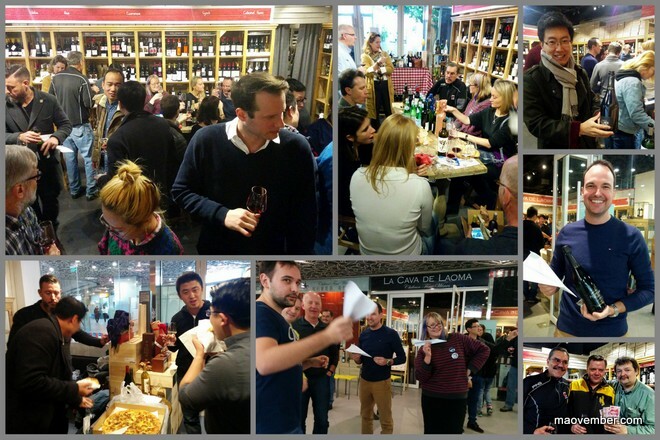 Add a “wine flights” paper airplane race and some personal donations, and the event raised rmb10,000. Mystery Wine Party returns again this year, with 1421, Australian Natural, Grape Wall of China, La Cava, Le Sommelier International, Lewine, Pasion, Ponty and Seina all donating wine—if you plan to go, I really, really, really encourage you to RSVP—on November 6 at Q Bar. And this year, baozi-pizza specialists Baozza will sell 100 of their treats at rmb10 each. All money from the wine races and snacks goes to charity. Want to join? Give me a heads up at beijingboyce (at) yahoo.com. A new lawyer walks into a restaurant. “Where’s the bar?” he asks the manager. “You already passed it,” she says.